Home: Go go gadget competition. As part of a funded research project from the National VET E-Learning Strategy, the ELAN Projects team are requesting input into a survey on BYOD strategies. Respondents will go into the draw to win an ASUS 2014 Series tablet. The purpose of this survey is to get a snapshot of what is going on in Bring Your Own Device practice in Australian Vocational Education and Training - right now. The information that you provide will help us develop an understanding of where BYOD is up to and where the opportunities to support best practice for VET may be found. Your answers will be kept in the strictest confidence. Please note that by submitting this form, you agree to Elan Projects possibly contacting you for further information relating to your responses. We promise to keep this brief. 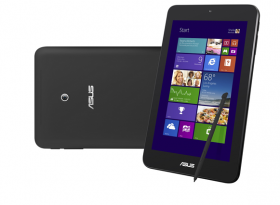 The winner of the Asus VivoTab Note 8 will be notified via email by COB February 10, 2014.